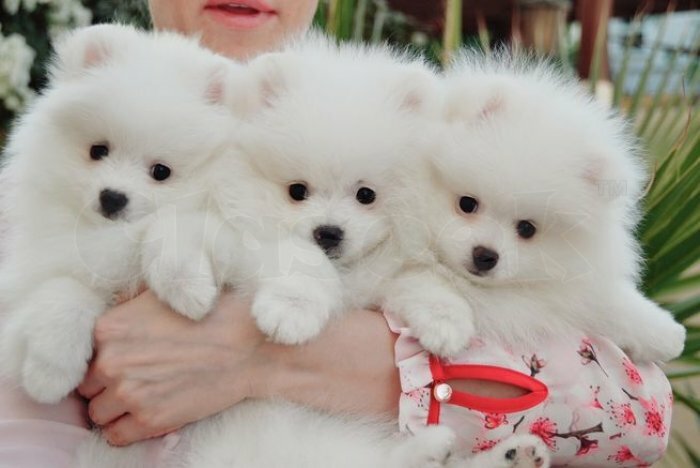 Available immediately beautiful miniature Pomeranian boy in lovely white colour. Fluffy thick coat. Very good quality.